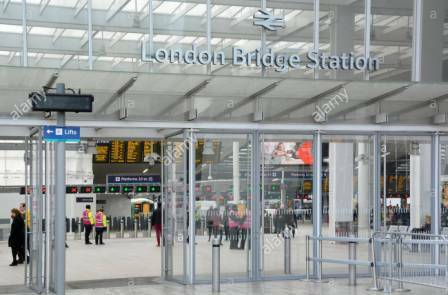 From September to 6th December 2016 GTR are consulting on their proposed timetable for 2018 when the work on rebuilding London Bridge is complete and the full Thameslink service will be introduced. East Surrey Transport Committee which represents local rail users criticized and continued to make representation about the 2015 timetable and some of the early proposals for 2018 in their view the service provided for Coulsdon is worse than that previously provided in 2014. The main criticisms of the 2015 timetable at Coulsdon South were : The loss of local services to Reigate and Tonbridge; No additional peak hour services; the lack of off-peak service to Victoria and extended journey times to central London. At Coulsdon Town it was the reduction in the number of off-peak trains. The main criticism for 2018 timetable was that all trains serving both Coulsdon Stations would come from north of Blackfriars and any disruption north of Blackfriars would mean that the service to Coulsdon stations would be disrupted for several hours, while most other stations on the network would have an alternative service starting from central London. We are pleased that GTR have addressed these issues in their latest proposals and there is an improvement to services to the Coulsdon area. At Coulsdon South there is an additional peak hour train, local services to Reigate and Tonbridge are restored and an all-day off-peak service to Victoria. There is a further option to improve evening and Sunday services to Victoria. The Tattenham Corner and Caterham lines will now remain Southern Metro services. As a result at Coulsdon Town the off-peak service will be restored to 4 trains per hour along with a faster evening and Sunday service. An option to improve the evening and Sunday service from Victoria from 1tph to 2tph improving the service at Coulsdon South from 3tph to 4tph. Question 47 Answer : Support first options with trains to Reigate and Tonbridge (this makes the off-peak and Sunday service consistent all week). Other Comments on West London Line? We are asking for the present hourly off-peak service from East Croydon to Watford via Shepherd’s Bush to be increase to 2tph. Question 64 Answer : Increase the service to Watford to 2tph. Are there any down side ? There are very few but a couple Coulsdon South would lose its Sunday Bognor service, but gain an extra train per hour. Tattenham Corner trains would be slightly slower as they will join and divide all day with Caterham trains at Purley, but the evening and Sunday services with be consistent and faster. There will be fewer stops at Norwood Junction. Part of the new Concourse underneath London Bridge opens with a new Entrance from St Thomas Street. Southeastern Charing Cross Trains will now call again at London Bridge for Waterloo East and Charing Cross. Except in the reverse peak flow where there will be no trains from Charing Cross and Waterloo East to London Bridge between 08.00 and 09.15 and in the evening there will be no trains from London Bridge to Waterloo East between wand 16.30 and 18.00. Cannon Street services will no longer call at London Bridge until January 2018. THE NEW GTR TIMETABLES ARE NOW AVAILABLE AT THE STATIONS. Later trains will run on Friday and Saturday nights. 43 all stations to London Bridge no date for reinstatement. Coulsdon Town 09.43 all stations to London Bridge no date for reinstatement. Poor Performance: The Service at local stations has been absolutely appalling in the weeks leading up to Christmas and the weeks after services resumed, this was taken up by East Surrey Transport Committee and GLA member Steve O’Connell with David Scorey and Alex Foulds the two Southern Service Directors. While Chris Philp MP, along with a number of other MPS raised these problems in Parliament with the Rail Minister Claire Perry MP. New Timetable : The worse service provided by the new timetable at many local stations but at Coulsdon South and Norwood Junction was also raised at the meeting with Steve O’Connell, Southern took the view that things may be worse in the Croydon area but they were better elsewhere. Steve O’Connell has asked to meet with Southern again in February. If you are not happy with the change to the services at Coulsdon South in particular Steve O’Connell is urging you to write/email to David Scorey with a copy to him before February. Coulsdon South: trains will be 16 & 46 past the hour to East Croydon and LondonBridge. At 26 & 59 past the hour to East Croydon, Blackfriars and Bedford. The 09.25 to Victoria and the 09.28 to LondonBridge will still run but many vary by a minute or so in the final timetable. In the down direction, Horsham trains will be earlier at 25 & 55 past the hour and GatwickAirport / ThreeBridges will be 14 & 44 minutes past the hour. Coulsdon Town: Trains will be at 01 & 37 minutes past the hour to East Croydon and LondonBridge and at 21 & 51 minutes past the hour to Tattenham Corner. Trains will leave LondonBridge: at 20 & 50 for CoulsdonTown and 27 & 57 for Coulsdon South (spacing even worse than we thought). At present there are no changes to rush hour services. Fares from January Oyster Pay as you Go cards can be used to Redhill and GatwickAirport. This is an add on fare and sometimes the paper ticket especially for groups of three or more will still be cheaper. Accompanied children under the age of 11 can now also travel free on National Rail services in the London Zones. No change to local buses in the Coulsdon and Purley areas. New Countdown signs have been provide at Coulsdon South Station in the Brighton Road for route 405 towards Redhill in Marlpit Lane for 60 & 404 to Old Coulsdon. 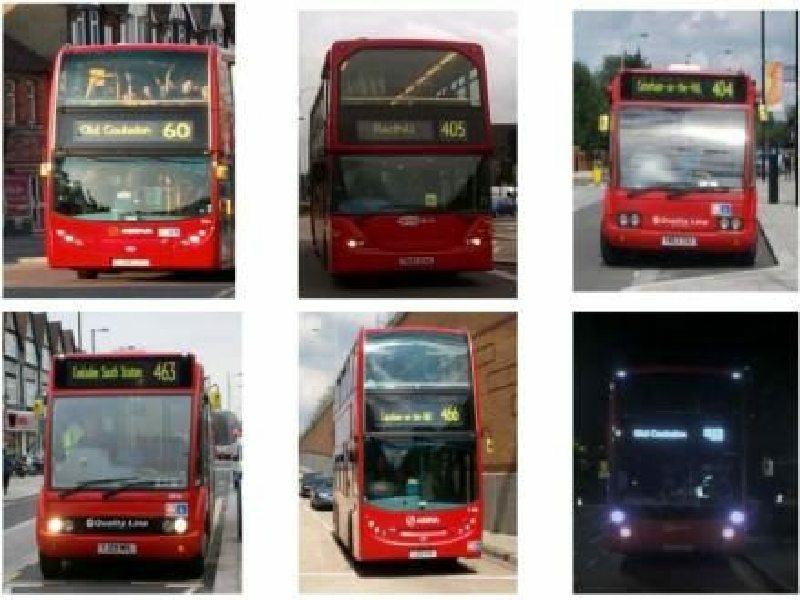 From 2012, all London Bus stops are now regarded as request stops and, if you want a bus to stop at a stop, you must indicate to the driver by waving your hand and you must ring the bell if you want to get off at the next stop. During the course of the year, the red request bus stop signs will disappear and all bus stops will become white bus stops and request stops. TfL have now launched and APP that you can download to find out the time of buses at a stop near where you are using GPS technoligy. Also you can “text a stop for the next bus” All stops should now have a plaque that enables you to text 87287 with the stop plate number and within a minute they will text you back with the times of the next buses. This cost 12p to receive, but some networks also charge to send to 87287 (you do not have to be at the stop if you know your stop number you can text before you leave home). In addition you can also check your local route and stop from the internet log on to http://countdown.tfl.gov.uk/#/and type in the stop number or the route number then select the direction and stop name from the map. Fares In London: From January 2016 the daily all zone Travelcard will rise to £17.20 in the peak and remains at £12.10 in the off-peak. However, the Oyster cap has become a daily cap at £11.80 regardless of what time you travel. For Oyster users who travel travel twice or more in a week after 9.30 a.m. or 8 times or more in a month TfL will reimbuse their Oyster Card at the end of each month and credit it with the difference between £11.80 and £8.90 for any of those trips that started after 9.30 a.m. The Oyster bus fare will rise to £1.50 and the daily cap will still apply at £4.50. There is also now a new One- Day bus and tram pass costing £5.00 which can be bought from local stations and newsagents. The Station new booking office was completed at the beginning of March 2010. It has a new toilet and new cycle rack and has extended opening hours. Coulsdon is in the Greater London Area and local bus services in Coulsdon and the surrounding area are operated by London Buses part of Transport for London (TfL). The Mayor for London also has responsibility for people travelling to and from London and TfL also operates cross boundary services into Surrey such as routes 166 & 405. These are operated as though they are London Buses and London fares apply including Travelcard and Bus Pass which are valid for the whole route as far as Redhill and Epsom. The Coulsdon area : Has eight London bus routes these are made up of four trunk routes 60, 166, 405 and 466 all serving Croydon. Three local routes 404, 434 and 463 and one night route N68 which operates a 24-hour service in conjunction with route 60. Route 404 : Caterham on the Hill, Caterham Drive, Old Coulsdon, Rutherwick Rise and Coulsdon. Operates from 07.00am to 7.00pm Monday to Saturday . Route 463 : Coulsdon South Station, Coulsdon, Clock House (the Mount), Wallington, Beddington Lane, Pollards Hill and Mitcham Eastfields. Operates from 06.30am to 12 Midnight. Provides information and advice on accessible transport in Croydon and other London Boroughs. They also provides low cost accessible minibuses for use by community groups, organisations and individuals in the London Borough of Croydon. The Netherne Community Bus is now up and running between Netherne and Coulsdon South station Monday to Friday and can now be used by non-Netherne residents. The fare is £1.50 (Concessionary passes are not valid). Bus leaves Netherne Drive at 7:10 am; 7:50; 8:25 and 9:10am (return to Netherne about 7 mins later). It leaves Coulsdon South at 5:30pm; 6:05pm and 7.00pm (buses start from Netherne about 10 mins earlier) a later bus may be added in the near future.